Why is listening so important? 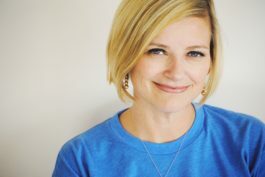 Assistant professor Dr. Rose Brock explains how audiobooks develop literacy skills, the connection between reading and listening, and how you can build and market a strong audiobook collection. This resource is a must-read for librarians and educators. 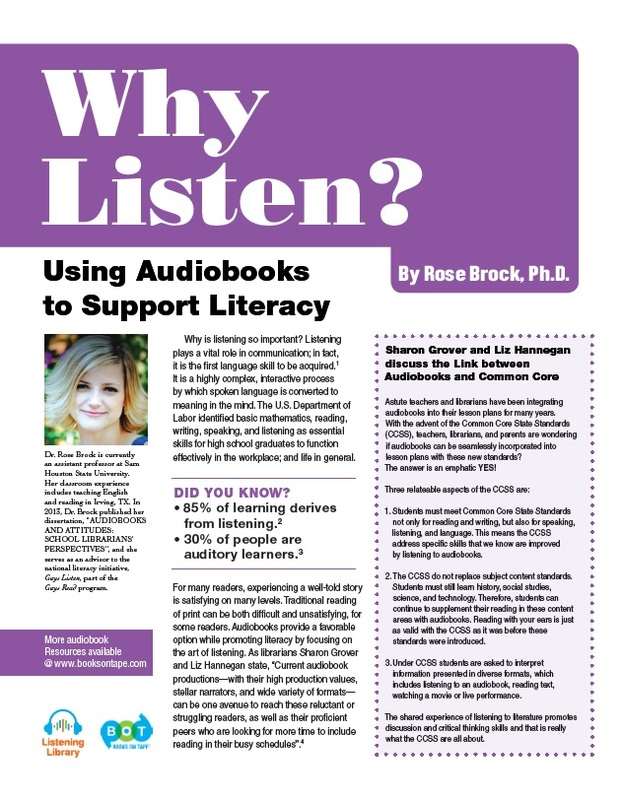 Share this article in your community to promote a love of listening, literacy, and learning with audiobooks. As Rose explains, listening plays a vital role in communication and it’s an essential skill that students need to function effectively in the workplace; and life in general. Read Rose’s article to find out how audiobooks provide a medium for developing that essential skill. In this article, librarians Sharon Grover and Liz Hannegan also discuss the link between audiobooks and the Common Core. Visit our Common Core page to learn more about how you can use audiobooks in your Common Core curriculum. 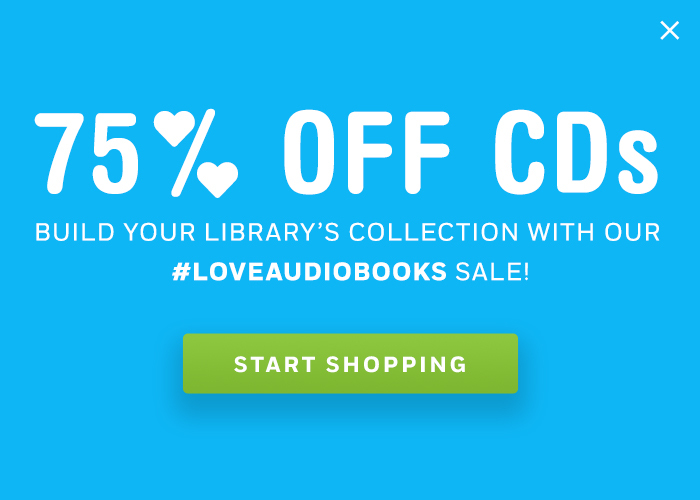 Plus, learn how you can build and market a strong audiobook collection. If you build it, they will come and listen! Find more resources for educators and librarians in our Audiobooks & Literacy Toolbox.